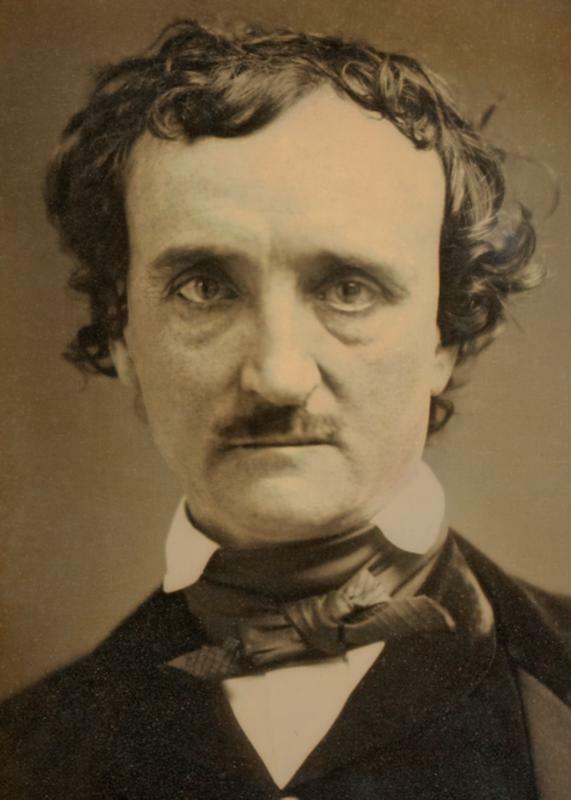 Edgar Allan Poe, died under mysterious circumstances on October 7th of 1849 when he was only 40 years old. He was a very prolific author; he left behind a legacy of exceptional stories and poems that established him as the master of mystery and the macabre. Some of his fans honor Poe’s legacy in unique ways. 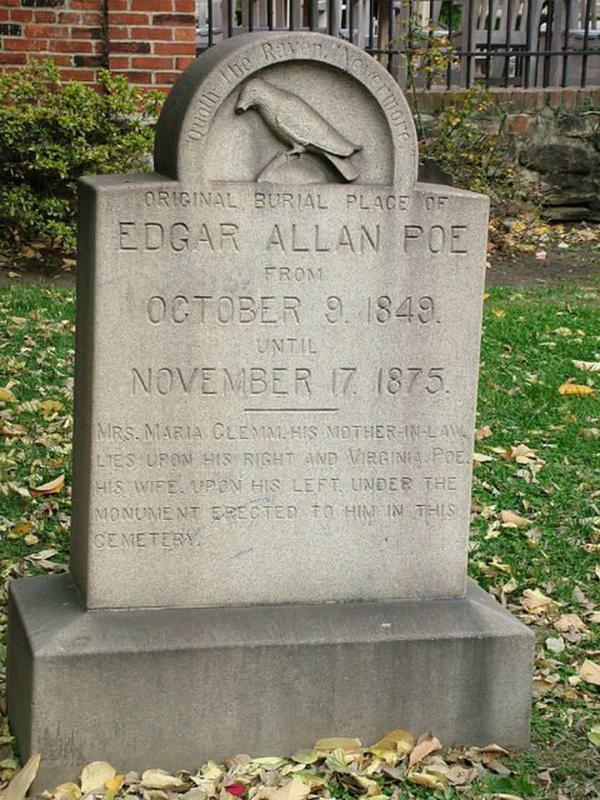 One of them was the anonymous person who visited the poet's original grave in Baltimore, Maryland, before dawn every January 19th (Poe's birthday), for almost 75 years. He (or she) wore a black coat, white scarf, and wide-brimmed black hat. 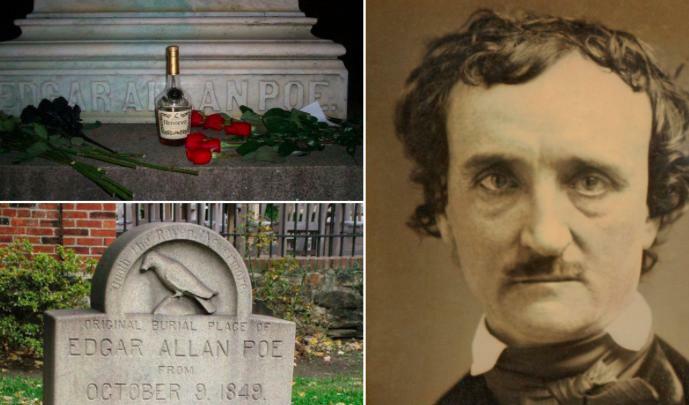 He would bring a bottle of cognac, pour himself a glass, and recite a brief toast to honor Poe’s legacy. He would then leave the rest of the bottle by the gravestone together with three red roses. The anonymous person earned the nickname the “Poe Toaster” because of the special celebration of Poe’s birthday he practiced each year. People attempted to identify the Poe Toaster, but he always managed to cleverly escape before being photographed. There are a few theories about the identity of Poe’s mysterious fan, but the facts remain unknown. Almost like a character in some unwritten story, the Poe's admirer acquired his own following. In January of 2009, on the day when Poe would have celebrated his 200th birthday, the original Poe Toaster was seen raising his glass for the last time. Fans of both Poe and the Toaster from all over the world were baffled when he didn’t appear in January of 2010. Jeff Jerome, the former curator of the Poe House and Museum, suggested that the Poe Toaster specifically chose Poe’s 200th birthday to bring the tradition to an end and leave the final bottle and three roses. Since then, a few have tried to continue the tradition, but nobody has managed to recreate the toast with the diligence of the original Toaster.